In three earlier blog entries I have presented the fascinating life and mystery surrounding Dr. Rudolf von Linauer who claimed to have witnessed Tibetan monks lifting giant blocks of stone using sound waves from various instruments. 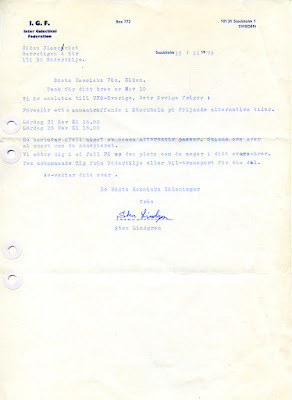 These blog entries gave the unexpected result that I was contacted by two of Dr. Linauer´s daughters, Monika in Florida and Kristina in Sweden. They had never met before and because of my blog there was a happy family reunion. I am very glad to have been the cause of this reunion and we all had a delightful rendezvous in Norrköping, Sweden in the summer of 2014. Dr. Rudolf von Linauer is not the only person claiming extraordinary experiences in Tibet in the 1930s. For many years I have been very intrigued by two books written by the German writer Theodore Illion (1898-1984): In Secret Tibet (1937, orig. Rätselhaftes Tibet, 1936) and Darkness Over Tibet (1937). Using the pseudonym Theodore Burang he also wrote several books and articles on Tibetan medicine. There is some debate whether Theodore Illion ever visited Tibet but according to old articles and interviews he was in the 1930s physically extremely well trained and fit for such an expedition. He was also obviously endowed with an iron will and determination to reach his goals. So on these accounts he could very well have succeeded in his endeavors to explore Tibet alone on foot. In January 1933 he visited Sweden for training trips in hiking and was interviewed by the Swedish newspaper Dagens Nyheter November 3, 1933. According to the article Theodore Illion was born in Canada, raised in Japan, educated at Paris, New York, Berlin and Istanbul. He is a writer, journalist, hiker, philosopher and vegetarian. He is walking around five Swedish miles a day only living on black bread and milk. “For the past eight weeks I have hiked through Germany, studying Nazism, an interesting journey that ended close to the Danish border. I wished to see how a political refugee could get to Denmark.” He is now in Stockholm where he will lecture at several places a.o. The Theosophical Society. Illion has some critical, philosophical remarks on todays society: “They invent technical means that grows over their heads instead of for one moment thinking of their own moral development.” I have checked old issues of the Swedish Theosophical magazine Teosofisk Tidskrift, but there is no mention of any lecture by Illion. There is very little information aviable on the life of Theodore Illion. A short article on Wikipedia and almost no useful references on the internet. In his book Nazis of Tibet. 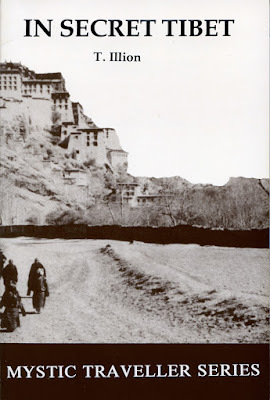 A Twentieth Century Myth, author Isrun Engelhardt mention that “It may be worth noting that Gestapo ordered Illion to furnich documentary evidence of his alleged visits to Tibet when he returned to Germany in 1941, since he was under suspicion of being a liar, who claimed he had visited Tibet although he had never been there”. According to the Wikipedia article Illion was a member of the Club of Rome, never married and had no children. A few more biographical details are presented in his books but it is somewhat surprising that there are so few data on his life as he lectured in several countries around Europe and was often interviewed extensively in large newspapers. 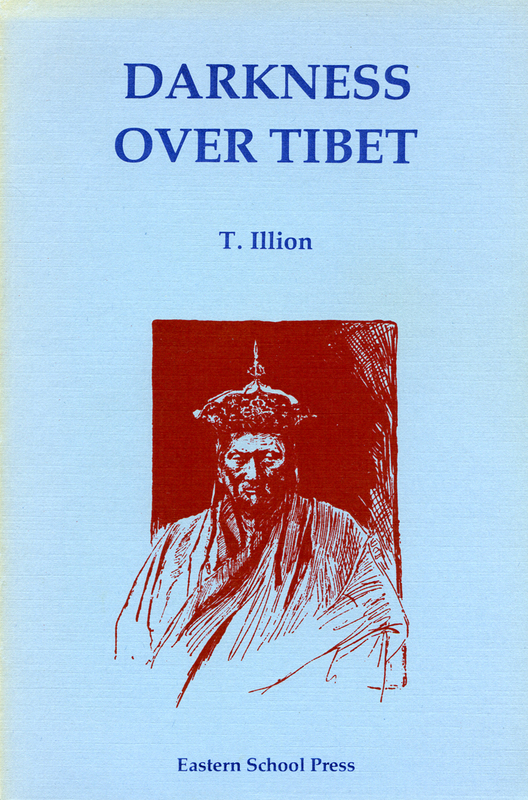 In the preface to his first book In Secret Tibet, Illion gives a brief presentation of himself: "I travelled in Tibet neither as a Christian nor as a Buddhist. I did not look at things there merely with the eyes of the scientist or the philosopher. I tried to examine things in an absolutely unprejudiced way. I do not belong to any sect, party, or denomination." "...my interest in Tibet was centered around the reality of Tibetan mysteries and psychical phenomena." (p. 18). "Three articles were published about my expedition, The Sunday Express mentioning the fact that I was looking for companions to accompany me to Central Asia." (p. 26). Illion also mention an interview that was published in a "large Stockholm paper in 1935", but gives nu further information. As with Dr. Rudolf von Linauer there are no definite data to confirm that Theodore Illion ever visited Tibet in the 1930s. 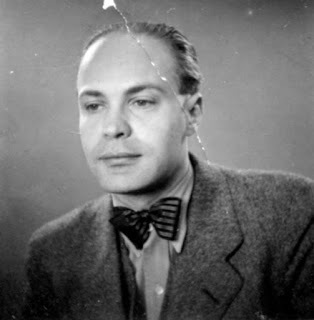 There have been some speculation that he relied on the information in the books by Alexandra David-Neel, published in the 1920s, and simply used the tavelogue about Tibet as a way to present his philosophy. Whatever the truth the books by Theodore Illion are a treasure trove of wisdom. Anyone thoroughly acquainted with the esoteric tradition will here find a kindred soul. I do find it amazing that Illion at his young age could have such extraordinary deep insights into esoteric philosophy, coupled with a critical mind and wonderful humour: "I am a non-smoker. I only smoke in the company of people who consider non-smoking a virtue". "In Secret Tibet" is the story of Theodore Illion´s travel in disguise in Tibet, meeting hermits, lamas and the somewhat more mysterious few "wise men", very different from the often primitive and superstitious hermits. He encounters and is able to study many types of psychic phenomena, some apparently genuine but often produced by "the grossest type of fraud." 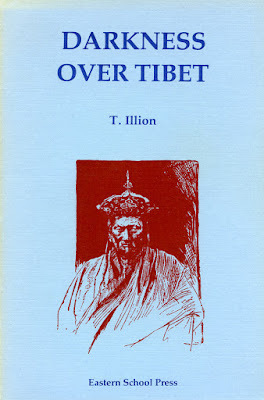 Illion gives many practical examples and is very aware of the negative power of organized orthodox religion in the world: "Organized Buddhism, as it stands today, is a formidable machinery for exercising power by exploiting fear and credulity, especially "Buddhism" as it is in Tibet and Nepal...The Tibetans on the whole like to be told what to do. This prevents unnecessary thinking. The lamas greatly profit by this attitude." (p. 116). This reminds me of a quote from the classic The Mahatma Letters to A.P. Sinnett where the adept K.H. comments on the problem of religion in world history: "...the chief cause of nearly two thirds of the evils that pursue humanity ever since that cause became a power. It is religion under whatever form and in whatsoever nation. It is the sacerdotal caste, the priesthood and the churches; it is in those illusions that man looks upon as sacred, that he has to search out the source of that multitude of evils which is the great curse of humanity and that almost overwhelms mankind." (Letter no. 10, 1882). The truth of this statement must be obvious to anyone following todays news. Theodore Illion´s sequel Darkness over Tibet is a real adventure story and have by many readers been regarded as too fantastic and pure fiction. Illion is led to a secret underground community and is allowed an interview with the spritiual leader of the community who he soon realize is a very evil man and black magician. After having fled from this group, indulging in cannibalism, Illion gives an interesting comment on the two different philosophic or spritual schools he have encountered: "In this world of matter, which is really the battleground for a formidable struggle of two different spiritualities, the few wise men of Tibet who are great and dynamic personalities intensely personal and yet acting impersonally, represent a kind of bodyguard of the Creator which holds in check the other camp of methodically working "annihilators" and "soul-snatchers". " (p. 191). This, of course, is esotericism and a very good description of the planetary guardians or Higher Intelligence Agency (HIA). I highly recommend these two books by Theodore Illion to anyone with an interest in the Esoteric Tradition. As the author told of lecturing for the Swedish Theosophical Society it is obvious that The Ancient Wisdom was his inspiration and he appears to have been an accomplished esotericist both in theory and practise. There is also deep psychological insights and a gentle humanism in his writings. He is very well aware of the human condition on this interplanetary Alcatraz: "Humaneness is the thing badly needed in this world, which dies from lack of love. We need people who are humane, really and spontaneously humane, in the little things of their daily lives. We have enough idealists who have occasional fits of idealism and tread the worm on the ground while they are looking for the stars". (In Secret Tibet, p. 128). The famous Swedish philosopher Ingemar Hedenius (1908-1982) wrote a short autobiography with the pertinent title Varför blev jag den jag är? (Why I became who I am? ), published posthumously in 1992. I have always been fascinated by this question, especially when studying the life of scholars, intellectuals, authors and of course esotericists. What decisive events, persons and ideas influenced and shaped their lives and worldviews? Two profound interests or passions have been a part of my life since a teenager. 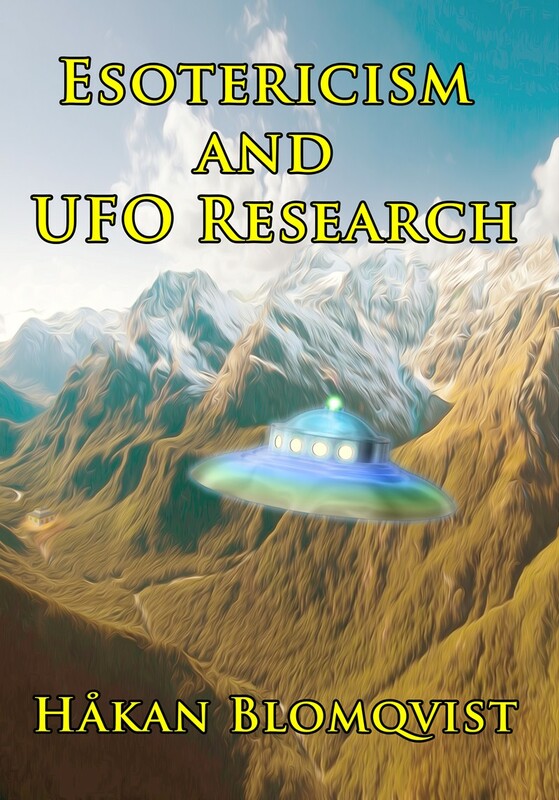 The fascination and investigation of the UFO phenomenon coupled with an intense search for a tenable worldview. There have been several individuals whose influence have been of vital importance in shaping my thoughts and ideas on these issues. I plan to present a few of these individuals on this blog. Some I have met personally or by correspondence, while others have influenced me through their writings. The basic idea is not to present a critical analysis of the life and ideas of these people but simply to give biographical details and events that can help in answering the question - why I became who I am? These historical reminiscences will be recalled with a background perspective of the Esoteric Tradition. Friends and collegues in the UFO community will probably be somewhat surprised to find that the first guide and mentor in my life was the wellknown and controversial contactee in Sweden, Sten Lindgren. My parents library housed books on Parapsychology, Spiritualism, Theosophy, Anthroposophy including the most wellknown UFO contactees of the 1950s: George Adamski, Daniel Fry, Ray and Rex Stanford etc. From the age of thirteen I became an avid reader of these books which fascinated me immensely. By the time I was eighteen my friend Kjell Jonsson and I decided to contact some of the UFO groups active in Sweden. Saturday, November 21, 4 p.m.
Saturday, November 28, 4 p.m.
You decide whether one of these alternatives is ok. Send us an answer as soon as you have accepted. We will meet at the place you decide in your letter, e.g. train from Södertälje or by car. 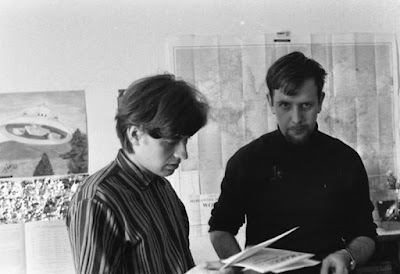 On November 21, 1970 my close friend Kjell Jonsson and I went by train to Stockholm where we were picked up by Sten Lindgren och his co-worker Bjarne Håkansson. We were taken to Sten Lindgren´s apartement at Lidingö. Arriving at our destination we were soon made aware of that this was no ordinary Swedish home. In the hallway a quote, pinned on the wall, taken from Howard Menger´s From Outer Space To You (p. 48) read: "We have much work to do on your planet among your people, and we must do it quickly - while there still is a planet and a people to work with". The walls of the livingroom were filled with photos, illustrations and charts all relating to UFO sightings. The books in the bookshelf were a mixture of contactee literature and metaphysics. Kjell Jonsson and I were seated on the sofa, nothing was said, and the lights were turned down. 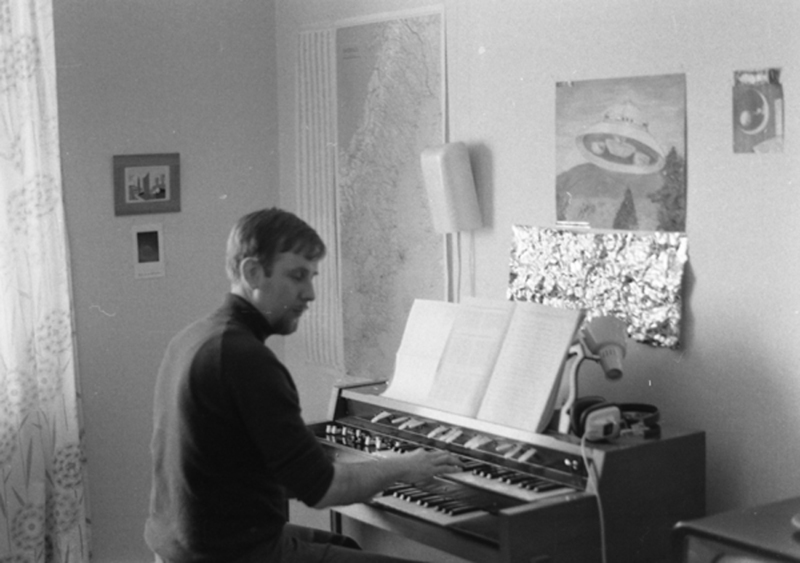 Sten Lindgren started playing "cosmic music" on a light-organ (Clavilux). After this introduction we were told that our meeting was arranged by the Brothers from space and that Sten was in both physical and telepathic contact with an extraterrestrial group. We were also requested to start a local UFO-group in Södertälje, affiliated with UFO-Sweden, as this national organization was supported by the Brothers. As a naive and idealistic teenager I felt this was like entering Shangri-La. Meeting a man who, not only had observed flying saucers, but was in contact with the visitors and working with them. The meeting with Sten and Bjarne worked like a salvation experience and left me "high" for weeks. 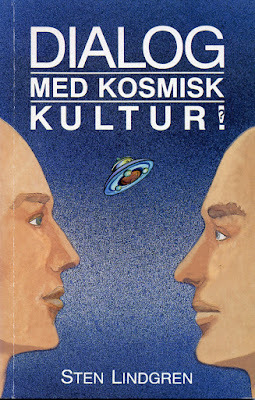 Kjell Jonsson and I founded our local group UFO-Södertälje with constant advice from Sten, who claimed telepathic information from the Brothers. For about two years we worked with all the many and unusual projects initiated by the IGF group, like going into some forest, holding hands and waiting for a flying saucer to land. In the autumn of 1964 Sten Lindgren together with his friend B.J. (known to me) went by car to a mine called Yxkullsgruvan in Västmanland, Sweden. The reason for this excursion was to find Lapis Lingua, sometimes called the psychic stone. The mine was closed and they didn´t find any Lapis Lingua but on their way home a cigarshaped mothership and several small bell-shaped craft appear over the car. One of the small craft makes a landing close to the road and Sten and his friend are led aboard and are then taken to the mothership. Here they meet a group of five or six people, among them two women and a man dessed in a suit. The spacepeople ask Sten if they are allowed to erase his memory of this visit. He believes he was somehow programmed on this occasion. Sten and B. J. are then led back to the car and continue the trip to Stockholm. According to Sten there were several hours missing in their journey. They came home very late. This is corroborated by B. J. but he has no memory of any UFO observation or contact. Sten was later put under hypnosis by an unknown physician and then became aware of what had happened during the missing hours. Looking back today on my involvement with Sten Lindgren and his group I feel priviliged for the experience. It was en excellent lesson in what esotericists would call "discrimination" or development of the critical faculty. Sten Lindgren was, and is, a gentle soul, a mystic, idealist and a man of goodwill. Even if his physical contact claims were fantasies his philosophy was a worthy mixture of contactee philosophy and esotericism. In 1972 he led a study circle in Parapsychology which was actually a course in esotericism, with a.o. material from the books by Theosophist Charles Leadbeater. Today I have no contact with Sten Lindgren but he was a catalyst in my life, in his own special way a guide and mentor that put me on a quest that still continue. For this I will be ever grateful. 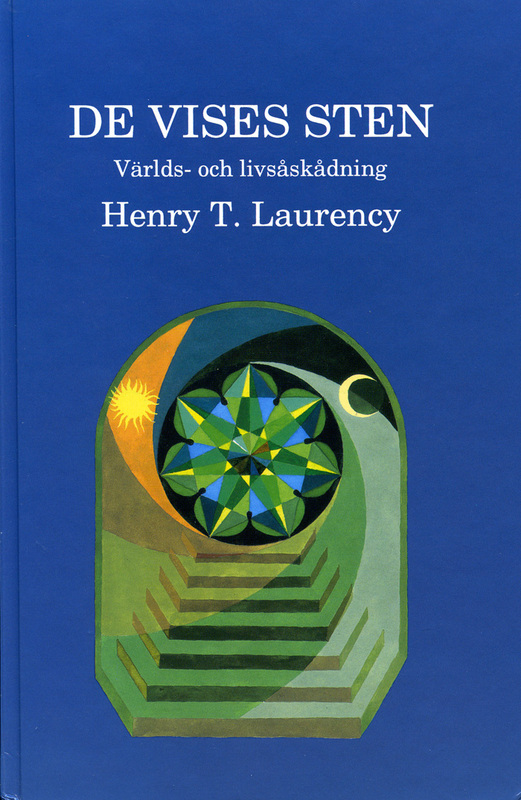 As an academic philosopher Laurency especially addressed the basic scientific, ontological and epistemological issues and problems confronting students of esotericism. 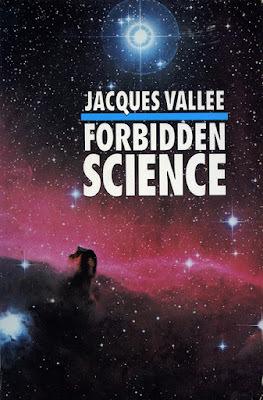 He often pointed out that the only scientifically and intellectually tenable attitude to the esoteric worldview is to regard it as a working hypothesis: "To scientists without experience of other worlds than the physical, hylozoics can, of course, be only a working hypothesis" (Laurency, The Way of Man, p. 39, online version). Incidentally this is also the position recommended by the Tibetan, D.K., in the books written by Alice Bailey: "Our attitude should be that of reasonably enquiry and our interest that of the investigating philosopher, willing to accept a hypothesis on the basis of its possibility... Those open minded investigators who are willing to accept its fundamentals as a working hypothesis until these are demonstrated to be erroneous. They will be frankly agnostic..." (Alice Bailey, A Treatise on White Magic, 1971 (orig. 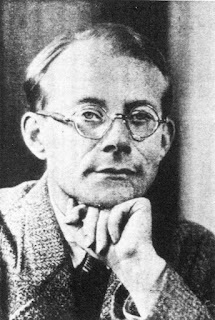 1934, pp 6, 32). In the books by Laurency and Bailey we are constactly reminded to refrain from simple belief when it comes to facts presented by the planetary guardians. Not to make a new dogmatic sect based on the data given, but keeping an open mind and using the information as a working hypothesis. “Belief is the enemy” wrote Fortean journalist John A. Keel. With this attitude the critical and scientific scholars can accept the esoteric worldview and still keep their intellectual integrity. How come then that so few non-conformist academic scholars and intellectuals have discovered the writings by Henry T. Laurency? The first and most obvious answer is that his books have only been aviable in English during the last decades. But the most relevant reason is that there are very few scholars that dare to enter the domain of Forbidden Science, in the words of Jacques Vallee. To leave the safe world of materialist/reductionist science is to become a cultural heretic. And “coming out” as an esotericist takes intellectual courage, especially if you are working in the academic community. You will be accused of harbouring dangerous irrational ideas and conspiracy theories. A promising sign of the times though is that “Western Esotericism” can now be studied at several universities. Western esotericism is a somewhat inadequate name as the esoteric tradition is global and planetary. Academic students of Western Esotericism are often referring to the French scholar Antoine Faivre when it comes to a definition of esotericism, consisting of six fundamental characteristics or components. To esotericists of the Bailey, Laurency school the definition is simple: The knowledge of reality in custody of and presented by the planetary guardians. These adepts I have somewhat irreverently referred to as the Higher Intelligence Agency (HIA). 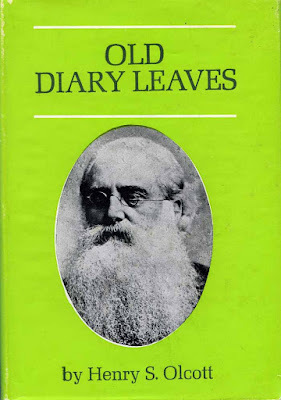 Theosophist Henry Steel Olcott, who knew several of them personally often called them “the boys”. To accept the esoteric worldview as a paradigm and working hypothesis most scholars would probably need some form of empirical data indicating a multiverse. For me the empirical evidence became obvious by investigating UFO and paranormal phenomena. But of course a bridge to esotericism could be found by researching a number of borderland phenomena: healing, out-of-body experiences, remote viewing, materializations etc. Neither reductionist materialism nor orthodox religion has any tenable answers when faced with UFO and paranormal phenomena which clearly indicate a multiverse reality. If there is a multiverse inhabited by various sentient beings of different evolution and intelligence there must also be a science of the multiverse. Which implies that it is reasonable to assume the existence of "scientists" of the multiverse or custodians of knowledge not discovered by mainstream science. This is the position maintained by The Esoteric Tradition or The Ancient Wisdom. For the scholar studying esotericism this advice by Henry T. Laurency should be remembered to keep a psychological balance and intellectual integrity: “Even if by thorough study you are however much convinced that the hylozoic system agrees with reality, yet you must view it as a working hypothesis... This principled attitude is necessary to avoid all manifestations of dogmatism, fanaticism, and intolerance." (Henry T. Laurency, Knowledge of Life Four, 1995, online ed. p. 29-30).